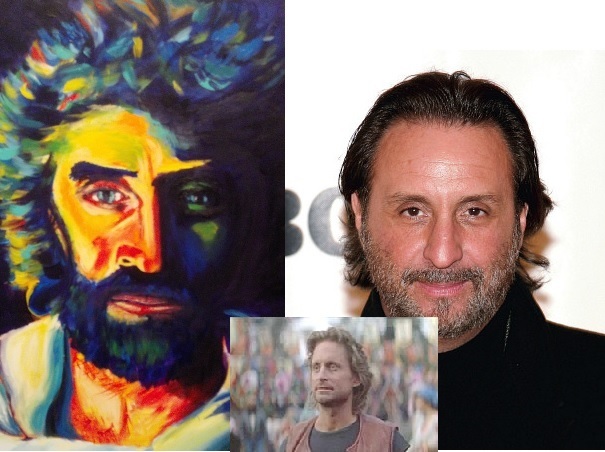 This entry was tagged Abstract art, Art, Creative genius, Easter, Iconography, Jesus, Michael Douglas, Religious art, Romancing the Stone, Ron Silver. Bookmark the permalink. ← Now Available at the WTF Gift Shop! This painting is by Akiane Kramarik (who was only 8 years old when she painted the original painting called Prince of Peace, which BTW is much, much better than this abstract that is on your blog). She was featured in many TV shows including Oprah and in the book Heaven is For Real, which is a book about an NDE of a child. Incidentally, Akiane claims to have had several visions of Christ himself who gave her the power to paint realistic imagery and this painting of Christ (though a male model was used) is supposedly very very close to what Jesus Christ actually looks like. The kid who had the NDE also claimed to see Jesus in Heaven and confirmed that Akiane’s portrait is the closest to reality he has seen. I just learnt about this myself about a month ago. 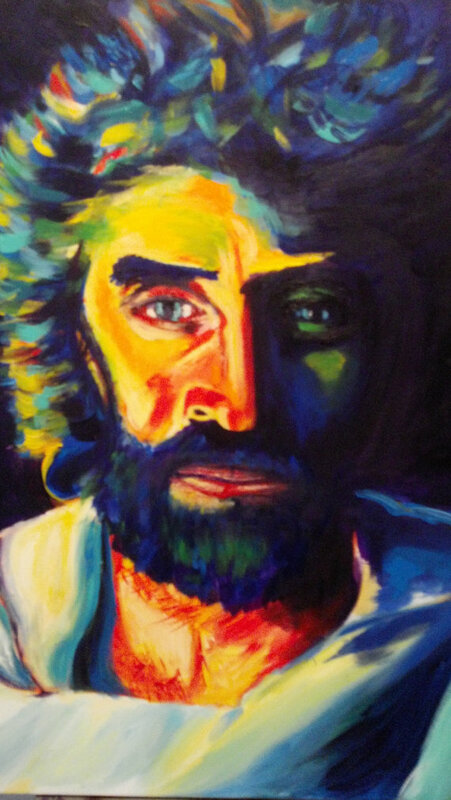 Just Google Akiane Kramarik and you’ll be amazed at what you find! Interesting! I’ll have to look her up. But to clarify: THIS painting is being sold on Etsy by a woman who is, apparently, ripping off the work of an 8-year-old.